For INFINITI Special Offers, our New Jersey INFINITI dealer is your place! 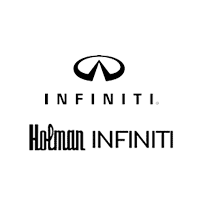 Holman INFINITI of Maple Shade, NJ is pleased to provide an array of special offers to our customers in NJ and PA. Whether you are looking for a top notch service department, new INFINITI in Philadelphia or a Used INFINITI dealer in NJ, Holman INFINITI is your source for INFINITI special offers. Explore our current special offers below and be sure to check back often for new specials!